.. . whatever they were Mum looks a bit dubious! Aw this is so sweet. Cute capture. Why are they numbered. 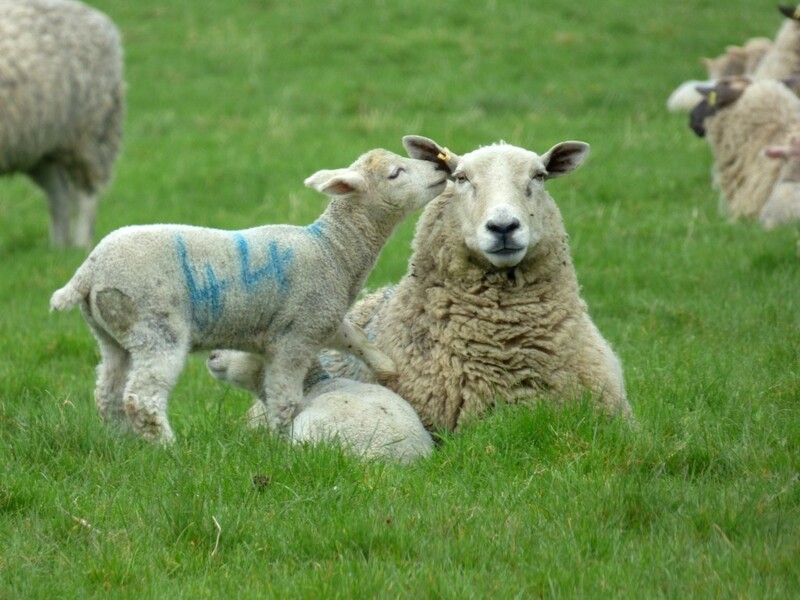 @rickster549 the farmer marks the lambs just after birth with the same number as the mother so that if they get lost they know which mum they belong to. @julienne1 thanks Julienne. Sort of thought that, but just wasn't sure. Sure that saves a lot of anguish amongst the little ones.